Rose Hill Missionary Baptist Church was organized in the 1800's before the Civil War, and is the oldest organized black Baptist Church in the state of Mississippi. Randle Pollard was the first pastor. 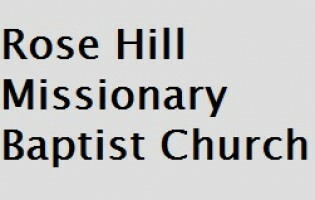 The church took the name Rose Hill after the name of the Rose family who donated the land. In 1907, the frame structure was destroyed by fire, but it was replaced by the present structure in 1908. The Moeller Organ was installed in 1912. The church was placed on the National Historic Register in 1983.